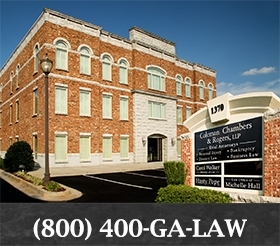 Conveniently located in Dawsonville and Gainesville, Ga, Coleman, Chambers, Rogers & Williams, LLP has a long history of hard work and success with our clients which shows dedication and results. Our lawyers have over 72 years of combined experience and are prepared to handle a wide variety of legal issues and fight for the compensation that you may be due. At Coleman, Chambers, Rogers & Williams, LLP you can feel confident that you have the right team working for you. Call us at 800-400-GALAW or contact us online to schedule a free consultation with one of our North Georgia accident lawyers.